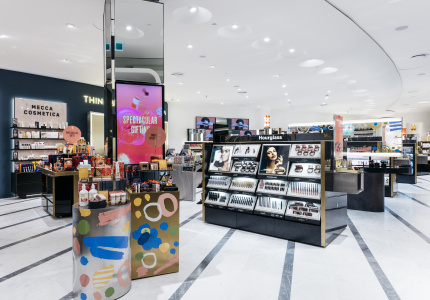 Score 70 per cent off Gucci, Prada, Miu Miu and Christian Louboutin; 30 per cent off Georgia Perry’s colourful accessories; 40 per cent off bed linen and PE Nation activewear; and 50 per cent off Scanlan Theodore and Skin and Threads. There’s also a huge furniture sale, plus heaps more. Give your wardrobe the designer love it deserves with My Chameleon’s end-of- season sale. The hub for established and emerging designer labels is taking up to 60 per cent off Dion Lee, Bassike, Christopher Esber, Jacquemus, Totême, Mansur Gavriel and more. Contemporary furniture retailer Stylecraft Home is discounting a range of sofas, tables, side-tables, armchairs and shelving units from designers including Tacchini, Skeehan, Verzelloni and Karimoku by up to 40 per cent. If you’ve Marie-Kondo’d your home, give it a refresh because items in this sale are sure to spark joy. Shop up to 80 per cent off Net-a-Porter’s range of clothing, shoes, bags, accessories, jewellery, lingerie, activewear and beauty. The online retailer is discounting hundreds of local and international designers including Balmain, Burberry, Chloé, Fendi, Ganni, Givenchy, Zimmermann and much, much more. This beautifully embroidered crinkled-cotton wrap dress is perfect to slip on after a swim. Activewear hub Stylerunner is offering 20 per cent off store-wide on labels including Adidas by Stella McCartney, Fella, Lndr, Nagnata, PE Nation and Sold & Striped. Snag running shoes, caps, sports bras, shorts, leggings and more. Rummage through archives of more than 300 original Australian music photographs at Paddington’s Blender Gallery. Prints of Midnight Oil, the Divinyls, Cold Chisel, Tina Arena, Kylie Minogue and Crowded House are on sale. They were handed over by a private collector from the US. If you’re in the market for vintage designer items, head to luxury vintage retailer Vestiaire Collective. There’s more than 23,000 items for sale at up to 70 per cent off, including men’s, women’s and children’s clothing, shoes, bags and accessories. Big-name brands such as Gucci, Prada, Miu Miu, Christian Louboutin, Alexander McQueen, Valentino and Alexander Wang are in the mix, so get scrolling. Melbourne label Scanlan Theodore is discounting its classic designs by up to 50 per cent, including dresses, pants, shirts, jackets, skirts and more. Add to cart: this green, white and pink striped dress. 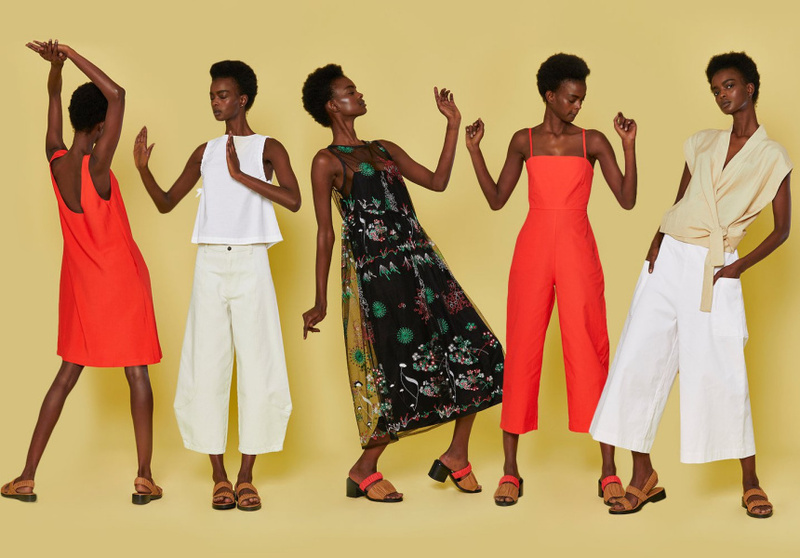 Aussie label Maurie and Eve is taking up to 50 per cent off its breezy, beachy designs in a site-wide sale, which includes short-sleeve jumpsuits, flowy dresses, cotton shirts, denim shorts and more. We’re loving these dusty-pink, high-waisted corduroy jeans. New Zealand clothing label Kowtow has gained a fanbase for its use of organic fabrics in natural, earthy tones. Get up to 60 per cent off its range of jumpsuits, shirts, shorts and dresses. Beat the heat in this relaxed striped playsuit in mustard. Sydney-based athleisure label PE Nation is continuing its sale on selected stock. There’s up to 40 per cent off everything from crops to leggings, jackets to tees. This black crop is on our wish-list. Melbourne-born label Alpha 60 is taking up to 50 per cent off dresses, playsuits, denim, tops, shirts and more. This blue-and-white striped dress is ideal for days at the office when the thermometer hits 40 degrees. 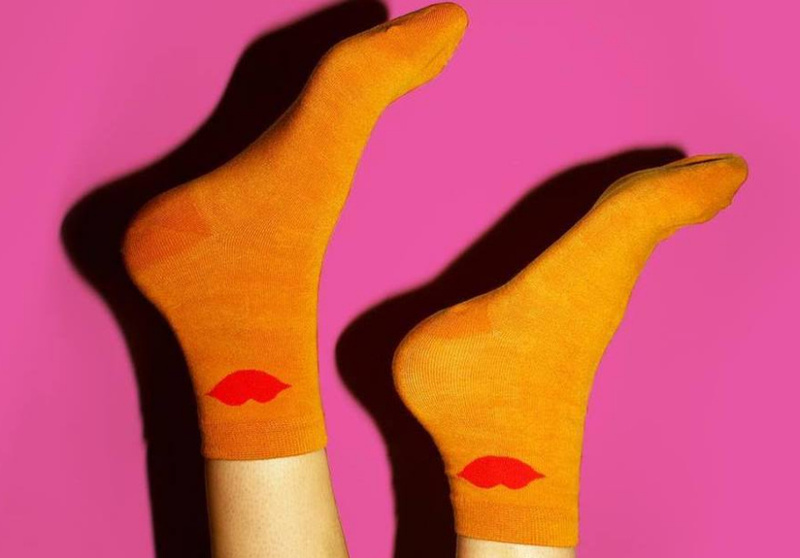 Australian graphic artist and accessories designer Georgia Perry is offering 30 per cent off her colourful and quirky socks, pins and bandanas until Sunday. Pick up this bright clutch bag to add a pop of colour to your wardrobe. Use code SUMMER19 at checkout. Melbourne bed linen and homewares brand Aura Home is discounting a huge range of stock at up to 40 per cent off, right now. Save 40 per cent on sheet sets and beach and bath towels, and 10 per cent on beds and bedheads. Cushions are on sale from as little as $15. Our pick is this linen cotton sheet set in smoke grey. Score up to 50 per cent off Skin and Threads’ sophisticated range of skirts, shirts, tees, cashmere sweaters, silk dresses and more. This linen jumpsuit will fast become a wardrobe staple.